The certificates installed on the shared servers yesterday expired and were replaced with new certificates. These will now automatically be used when you login to the shared server. 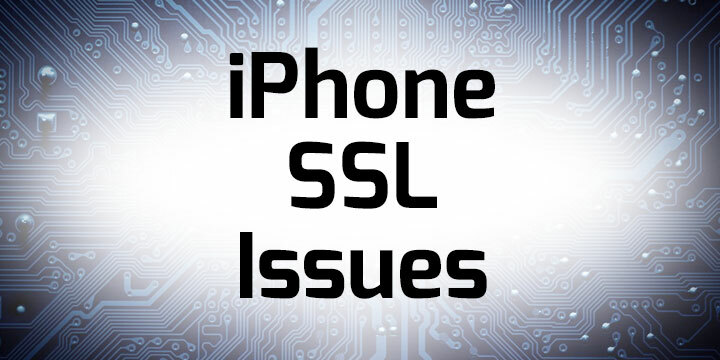 Unfortunately this has created some issues primarily with email accounts that are setup on iPhones and Mac users. To get around this problem and get the email accounts working properly you will need to either go into the account settings and update the incoming and outgoing server to use cloud<##>.unlimitedwebhosting.co.uk instead of mail. If you have any questions or need a hand, then please contact our support team.